Rubber Keychain featuring a logo design and made of soft rubber. Can be attached to bags, belts, keys and other items. 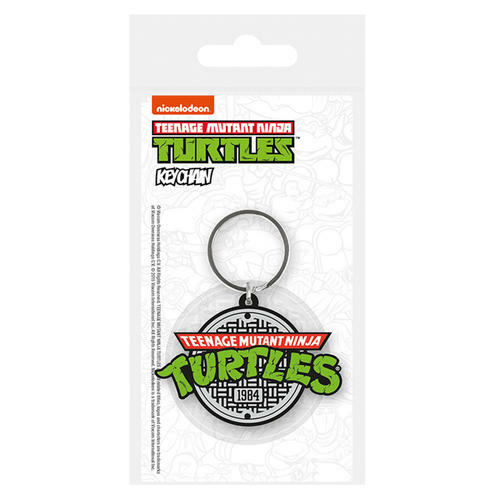 The keychain measures approximately 6.5cm x 4.5cm. Officially licensed. 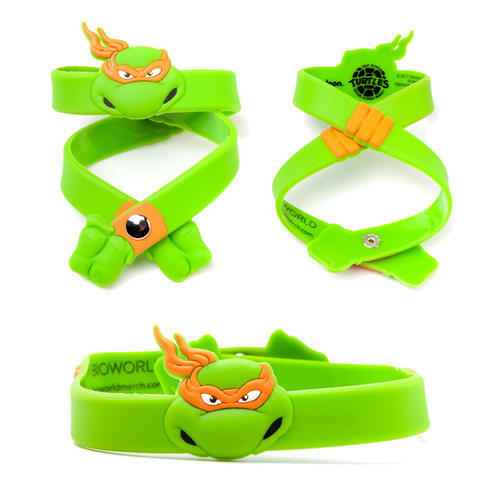 Have your favourite Teenage Mutant Ninja Turtle grab onto your wrist with this wrap around wristband. 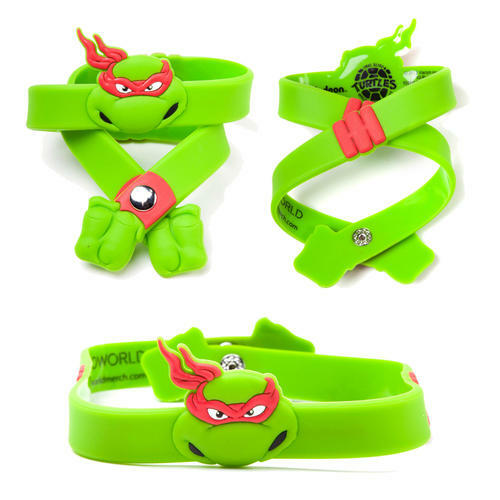 All 4 Turtles are available in the series. Officially licensed. 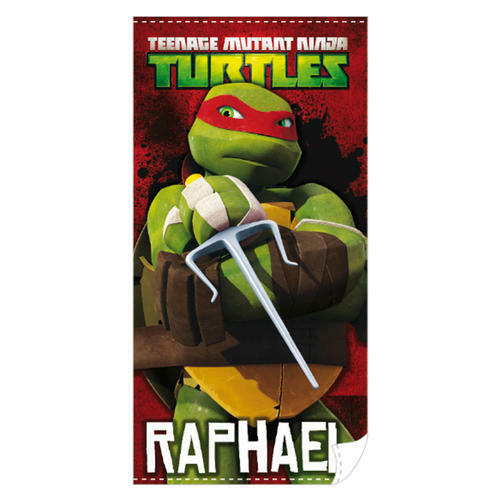 Beach Towel featuring a fun Raphael from the Teenage Mutant Ninja Turtles design. Made from 100% cotton and is 300GSM meaning it is nice and soft on the skin. Officially licensed. 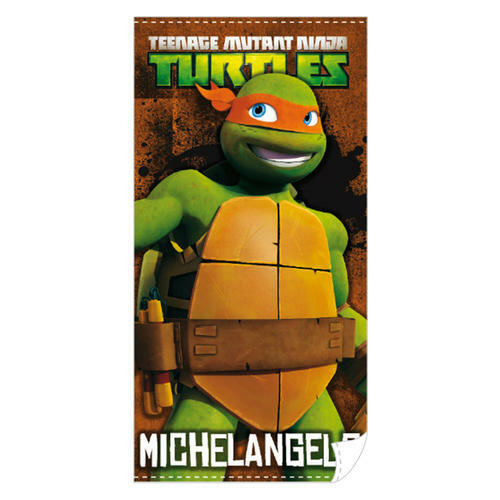 Beach Towel featuring a fun Michelangelo from the Teenage Mutant Ninja Turtles design. Made from 100% cotton and is 300GSM meaning it is nice and soft on the skin. Officially licensed. 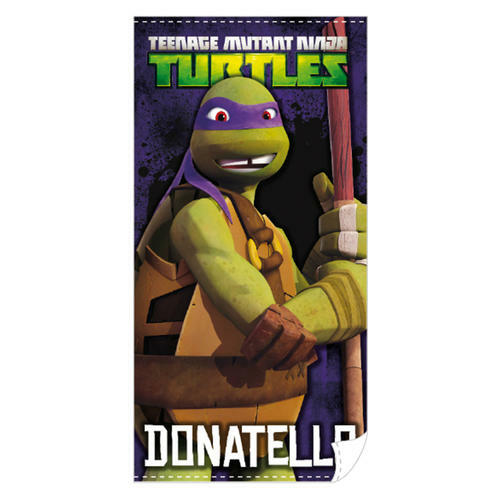 Beach Towel featuring a fun Donatello from the Teenage Mutant Ninja Turtles design. Made from 100% cotton and is 300GSM meaning it is nice and soft on the skin. Officially licensed. 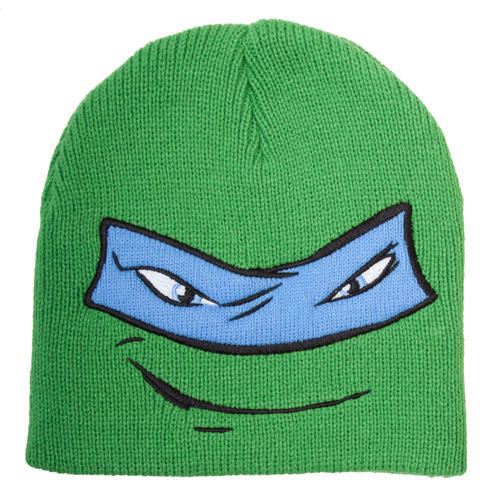 High quality embroidered Leonardo character youth beanie from the Teenage Mutant Ninja Turtles smash hit TV series. Officially licensed. 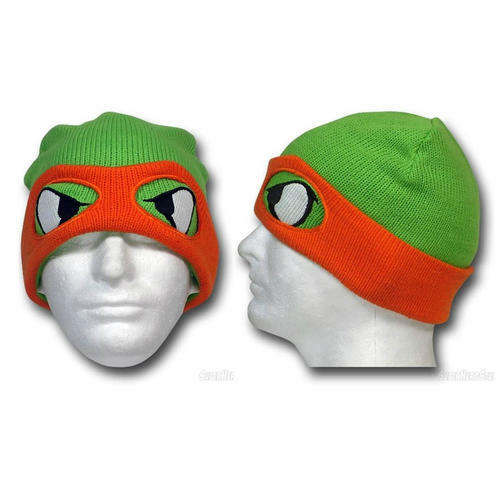 High quality embroidered Raphael character youth beanie from the Teenage Mutant Ninja Turtles smash hit TV series. Officially licensed. 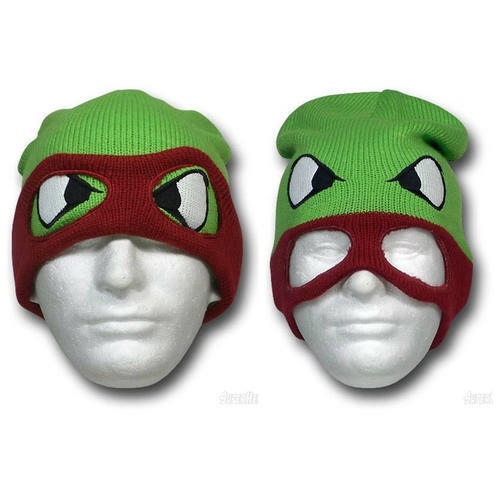 High quality embroidered Michelangelo character youth beanie from the Teenage Mutant Ninja Turtles smash hit TV series. Officially licensed. 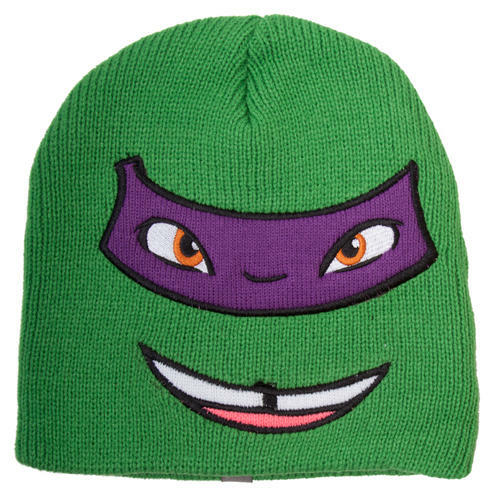 High quality embroidered Donatello character youth beanie from the Teenage Mutant Ninja Turtles smash hit TV series. Officially licensed. 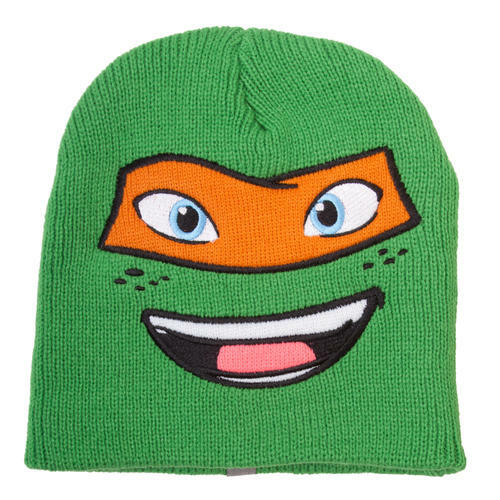 Leonardo Beanie from the ever popular TMNT series. 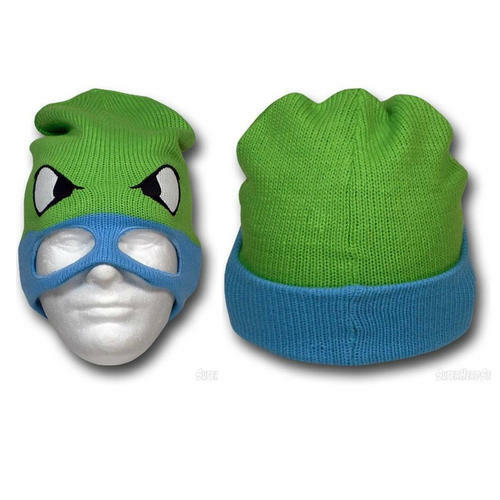 This is no ordinary Beanie as its mask folds down turning it into a Balaclava. Officially licensed. Raphael Beanie from the ever popular TMNT series. This is no ordinary Beanie as its mask folds down turning it into a Balaclava. Officially licensed. 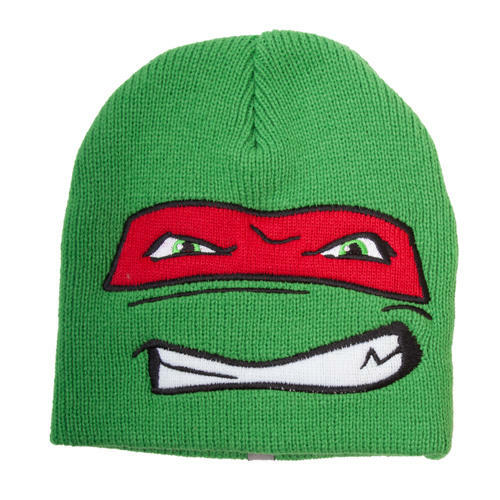 Michelangelo Beanie from the ever popular TMNT series. This is no ordinary Beanie as its mask folds down turning it into a Balaclava. Officially licensed. 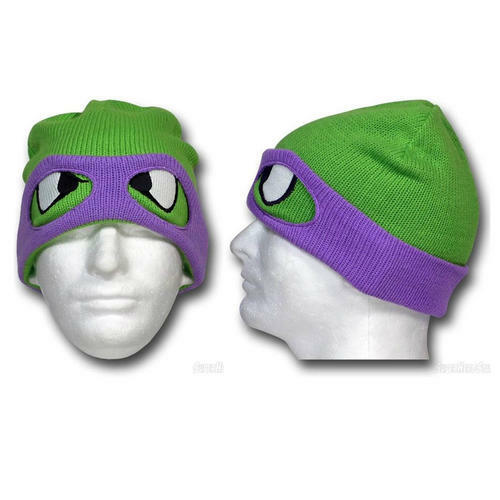 Donatello Beanie from the ever popular TMNT series. This is no ordinary Beanie as its mask folds down turning it into a Balaclava. Officially licensed. 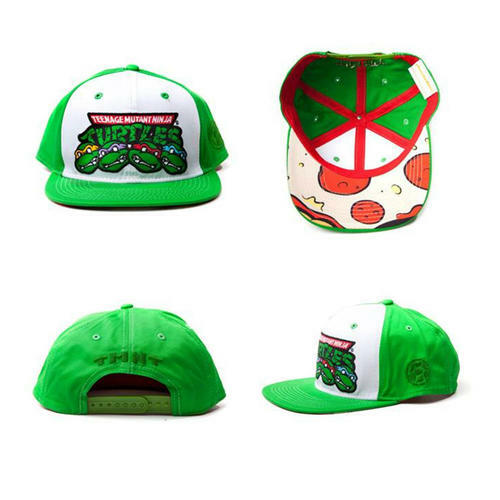 Cap featuring a high quality embroidered design of the 4 Turtles and the logo from the popular series. Features adjustable fastener. Officially licensed. 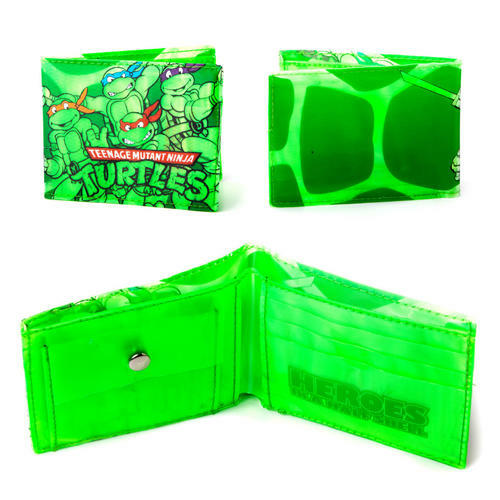 Wallet featuring all 4 crime fighting turtles on a shell design. Includes note and card slots and 'Heroes in a Half Shell' inner print. Officially licensed. 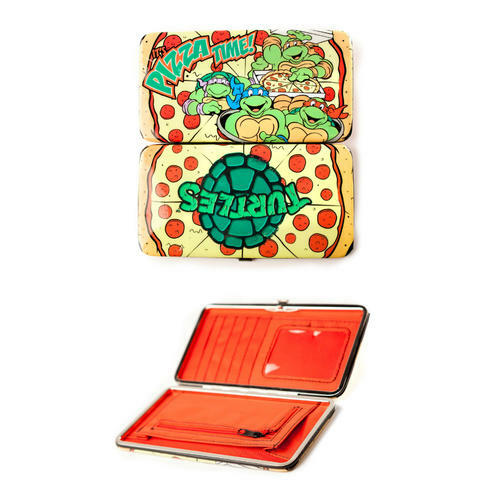 Wallet featuring a Teenage Mutant Ninja Turtles Pizza design. Inside are note and card slots as well as a coin purse and ID window. Officially licensed. 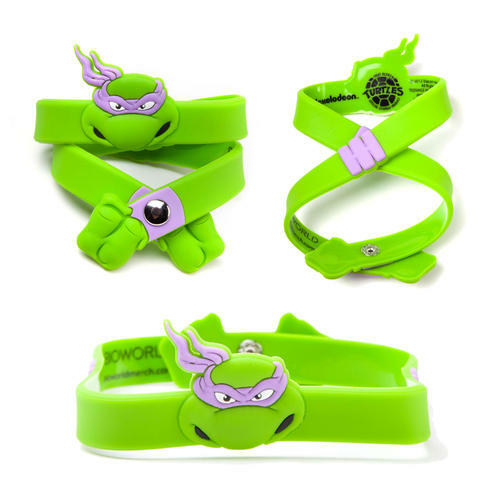 Ankle sports socks based on the Teenage Mutant Ninja Turtles character Leonardo. Size 39/42. Officially licensed. 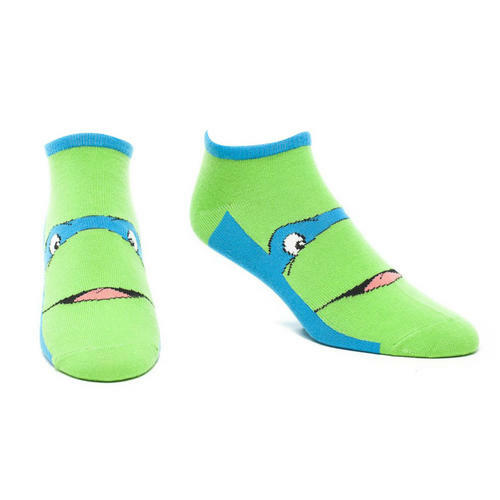 Ankle sports socks based on the Teenage Mutant Ninja Turtles character Raphael. Size 39/42. Officially licensed. 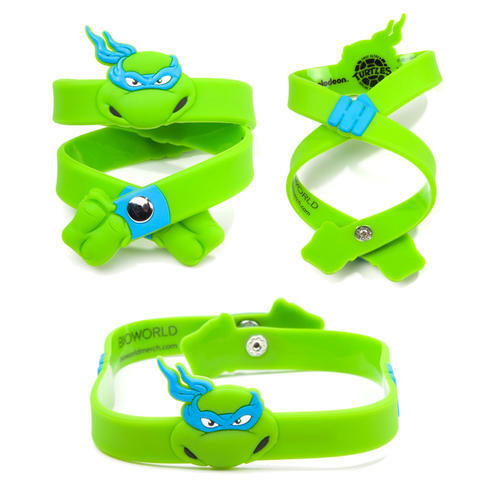 Ankle sports socks based on the Teenage Mutant Ninja Turtles character Michelangelo. Size 39/42. Officially licensed. 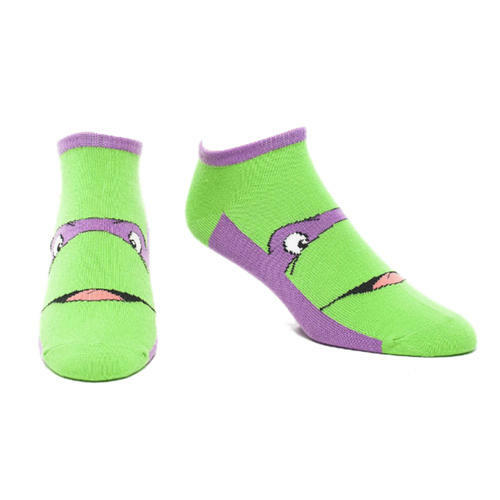 Ankle sports socks based on the Teenage Mutant Ninja Turtles character Donatello. Size 39/42. Officially licensed. Ankle sports socks based on the Teenage Mutant Ninja Turtles Sensei Splinter. Size 43/46. Officially licensed. 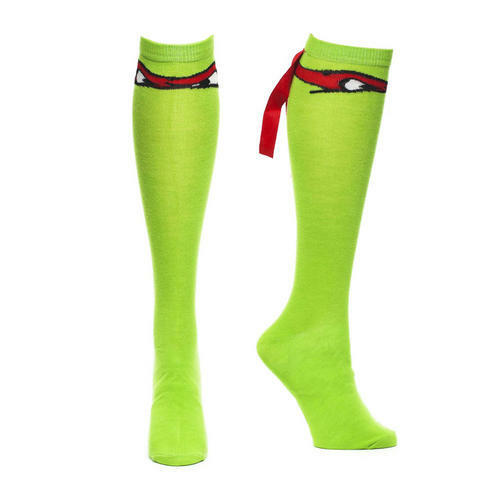 Universal knee high socks based on the Teenage Mutant Ninja Turtles character Raphael. Complete with his red mask and ribbon. Officially licensed. 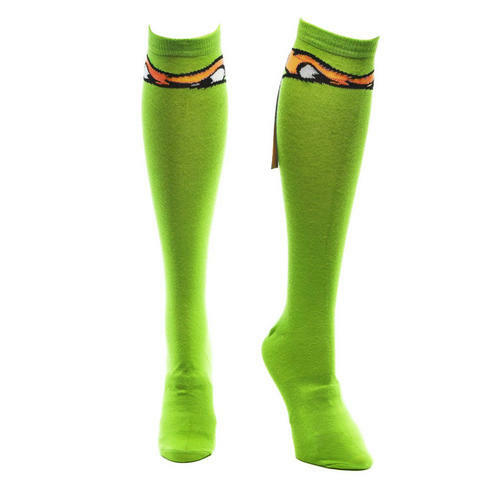 Universal knee high socks based on the Teenage Mutant Ninja Turtles character Michelangelo. Complete with his orange mask and ribbon. Officially licensed. 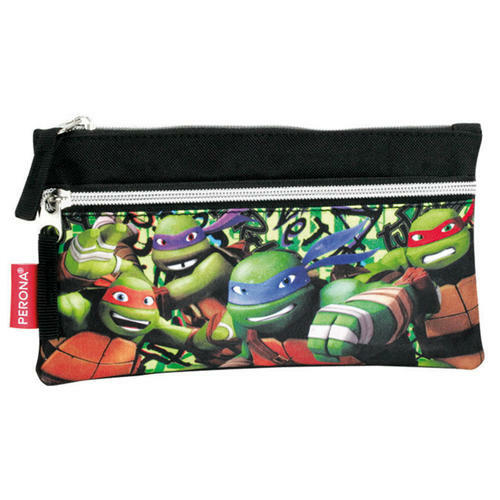 Pencil case featuring a cool Teenage Mutant Ninja Turtles design. The pencil case measures approximately 22cm x 12cm and features 2 separate storage compartments. Officially licensed. Backpack featuring a fun and colourful character design. The backpack measures approximately 28cm x 23cm x 10cm and also features adjustable straps and a hanging hook. Officially licensed. 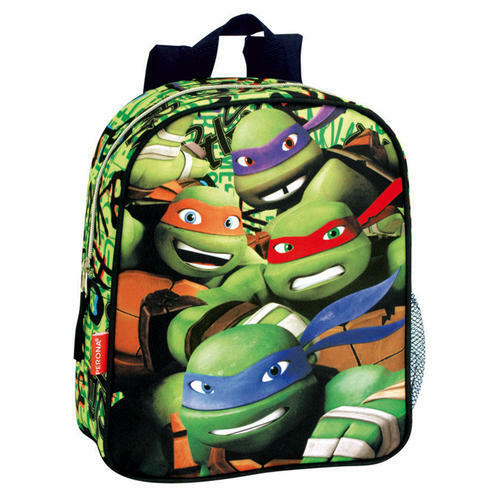 Teenage Mutant Ninja Turtles Gym Bag featuring turtle shell design. Includes all 4 character bonus masks. Officially licensed. 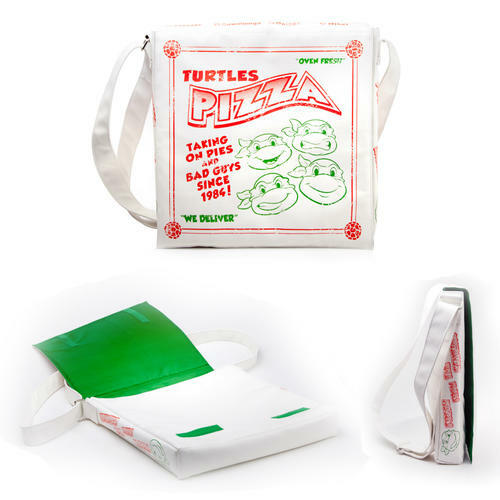 Cool and trendy this has been made to look like a pizza delivery bag for fans of the Turtles. 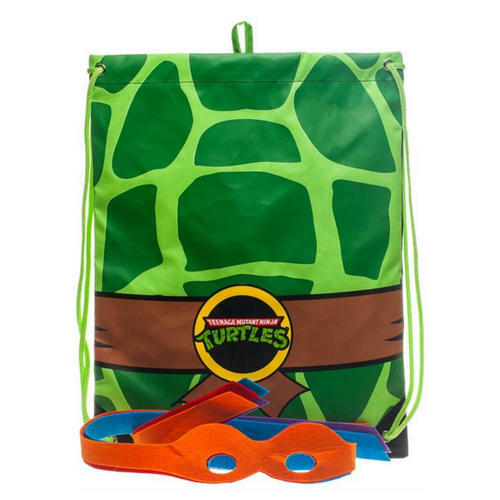 Features an adjustable shoulder strap and Turtles design. Officially licensed. 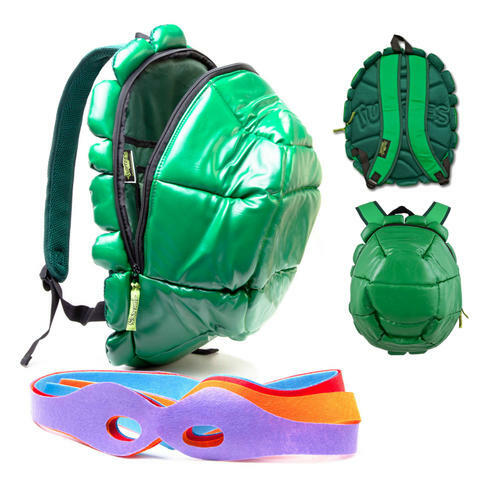 Backpack featuring a shell design to transform the wearer into a Teenage Mutant Ninja Turtle. Also comes with 4 eye masks to complete the look. Officially licensed. 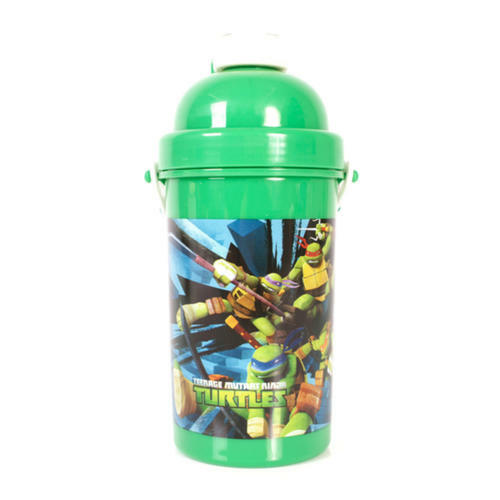 350ml plastic sports bottle featuring a design based on the populat Teenage Mutantn Ninja Turtles TV series. Officially licensed. 500ml pop up bottle featuring a design based on the Ninja Turtles. Features a flip top cap preventing spillages. Officially licensed. 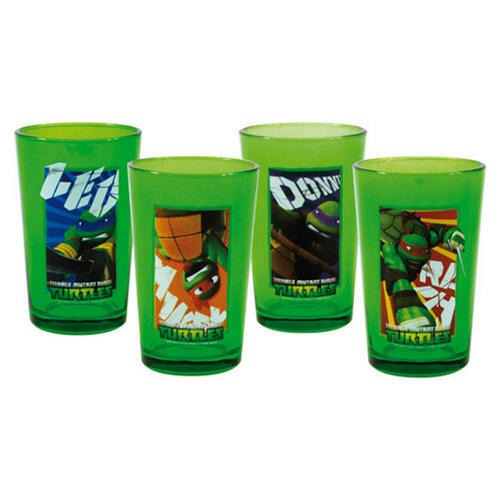 Set of 4 juice glasses featuring action shots of Leonardo, Donatello, Raphael and Michelangelo from the new smash hit series. Officially licensed.